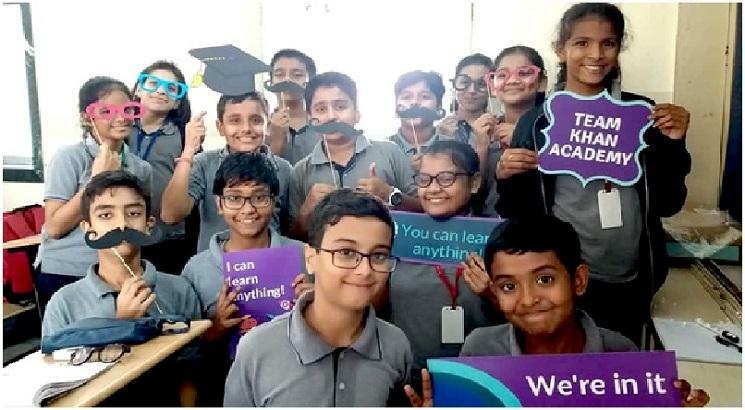 Khan Academy announces the winners of LearnStorm, its first nationwide education challenge in India. LearnStorm was a free, six-week online learning challenge driven by teachers, for classes between Grade 3 and 12. LearnStorm helped students master core academic subjects and worked towards motivating classrooms and building student confidence. LearnStorm saw a participation of over 1700 teachers and 20,000 students from 200 schools all over India. The Grand Prize Winner of LearnStorm India 2018 is the R.N. Podar School, Mumbai. The school will be awarded the grand prize winner trophy and the students would receive winning certificates and exciting prizes. Khan Academy will also organise a special celebration for the students and teachers of R.N. Podar School. 10 schools were given the Keep Going! Keep Growing! Award for creating a motivating environment and embodying the spirit of teamwork, collaboration, and developing growth mindsets through LearnStorm. The winners of this award were a mix of schools as well as individual teachers. They win certificates for their students, the Keep Going! Keep Growing! Award trophy for the school, and special LearnStorm celebration packages.